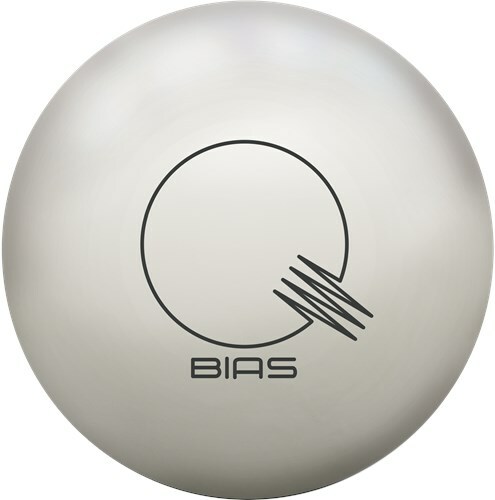 Brunswick's successful relaunch of the Quantum product line continues with the Quantum Bias. This bowling ball features high-density Quantum Mushroom High RG Asymmetric cores along with a thicker urethane coverstocks. This thicker coverstock offers durability, longevity, and massive hitting power. This ball is unique in that each core has a unique design to compensate for the gross weight of the ball, the core's dynamics, and the balls hook potential. The Bias uses Brunswick's ECA-XR coverstock formula and the all-white color gives a unique look as well as enhanced hooking power due to the traction additive found in Brunswick's white pigment. It's the review you've been waiting for!!! Join Lane Side Reviews as they take the new Brunswick Bowling #QuantumBias to the lanes. You are not going to want to miss this one! The Quantum Bias is absolutely next level GOOD! I have thrown many balls and most of the Quantum line. This ball is UNLIKE ANY BALL I have ever thrown. The ball motion and hitting power of this ball is just amazing! The Quantum Bias is versatile and best used on heavy oil, with multiple layouts that will complement any bowler at any level. Currently have the Pin and CG inline with the pin above my fingers, and the CG in my palm and the ball never loses hook or hitting power. Questions may be asked about cleaning the ball, but most of the best cleaners, especially the cleaners from Genesis work very well on keeping the ball as clean as possible. Yep. It’s a white ball. But what’s really amazing about this ball, is that it is the first asymmetric Quantum and is GREAT on heavier oil. You may want to adjust the surface a bit if you find that there isn’t enough oil where you bowl. With a 500/1000 finish, putting 2000 on it may be a good surface adjustment to make. There has been a lot of chatter about how dirty the ball gets but I want to share two things. One – all balls get dirty it’s just that you see this more because of the white cover and it cleans really easily. It’s important to maintain and clean surfaces after each league session and tournament. Two – the ball gets noticed and it’s the most hooking Quantum to date. Quantum Bias laid out 40x5x45 (pin over bridge) with no hole. I laid it out fairly strong as I am a lower track player who likes playing through the puddle more than most, so it doesn't take much for me to shoot through the break point for weak corners with higher rg equipment. On the lanes the Bias has really impressed me. The dull cover is strong enough to traction in a fair volume of oil, but the core isn't giving me that instant roll that my Kingpin and Max offer. With the Quantum Bias I get a little less than average length, some push through the midlane and a strong (but not flippy) move on the backend. This reaction makes the Quantum Bias my ideal #2 ball once my scuffed up Kingpin Max rolls out for flat 10's. Our local house is really slick with Ice oil from a Flex machine on Anvilane and we dress 44' Big Ben for our upper mixed league. All this volume leads to flat 10's on marginal shots with weaker balls, but the Quantum Bias has carried exceptionally. It is dull enough to deal with the oil, but makes a strong enough move to kick out the corners. I have also had success after a few games on the Women's 2011 US Open pattern in our challenge league. The Bias allows me to swing the ball once the oil has carried down and not worry about skidding through the breakpoint. Compared to other balls in my bag the Quantum Bias has me 3 boards right of my Kingpin and Max all due to length. It is both a shade earlier and stronger down the lane than my benchmark Vandal Destroy. The Bias has been a great 1-2 punch on medium- medium/heavy oil with my Method which is a quicker rolling core on a weaker cover (the Method I like better going up the lane, the Bias for a little swing). I am a big fan of the Quantum Bias due to its unique ball reaction. I am not aware of many dull high rg asym options on the market and its shape on the lane has been much appreciated in my bag. The white colour is a little blah for me as it is tough to see the ball roll so I've swapped in black finger inserts. I recommend the Quantum Bias for speed/rev balanced players looking for a ball to throw in games 2-3-4 in heavier oil. Likes: Strong ball in the mid lane and takes surface change very well. OOB at 1000 was a little strong for myself so I made a change up to 2000 and its a great ball for heavier or longer patterns. Dislikes: The white gets dirty, but comes clean easily with some Big B ball cleaner. The Quantum Bias is a very strong rolling ball. It hooks in every condition with ease, but is not as early as my Pitbulls. It is a great compliment to the Black Quantum when I need a little more hook. The best part about the Bias is even as the lanes dry up, I can move left and not give up entry angle and hitting power. This is a great overall ball that I can use on a variety of conditions. My excitement with this ball being released was very high. This asymmetric ball is rated by Brunswick as a Pro-Traction-75. Meaning this reactive solid will allow the bower to play in heavier oil conditions with quite a bit of versatility. I’ve really tested this ball on quite a variety of conditions and have utilized two layouts. I have one Bias drilled at 70 x 4 1/2 x 35, with a cover at 1000 using a Siaar pad. The other Bias I drilled 50 x 4 x 65, and gave it a high gloss shine. Both of these layouts work extremely well, and allow me to the play the lanes a variety of ways. Typically I like to start with the pin up Bias, and then when lanes break down, and I want a more predictable look, I go with the pin under high gloss polish version. Either way, this ball is incredible versatile and will allow you to alter the cover to your liking allowing you to have a lot of success. The white ball looks cool down the lane, but does get dirty fairly quickly. Cleaning it regularly with Brunswick ball cleaner will keep this ball looking great. Have fun watching this ball get down the lane, and destroy pins. Feel free to contact me by email with any questions; troy_300_1999@yahoo.com.